Hi lovies! 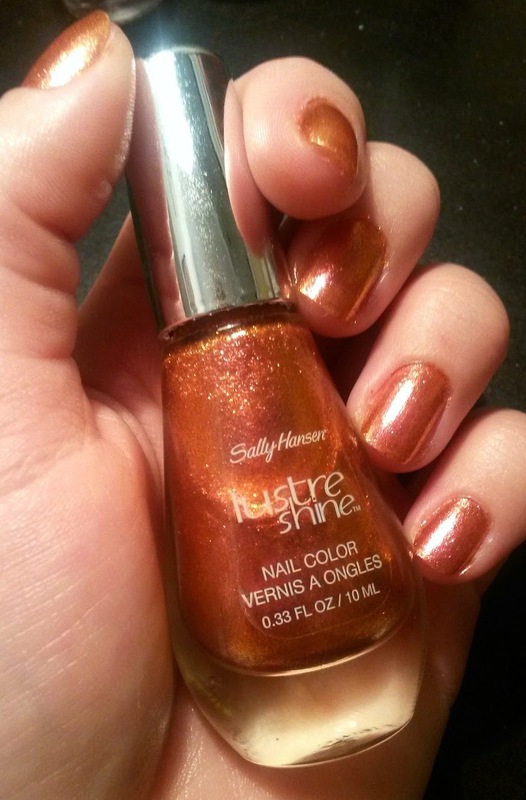 Have you heard of Sally Hansen's Lustre Shine nail polishes?? They are amazing! Depending on the lighting the polish seems to be different colors. I'm wearing "Lava", an orange-y shade that looks pink in bright light. In low lighting it looks copper. The polish is basically very fine glitter, and I applied three coats to make is opaque. I need to get my hands on more shades from this collection!! 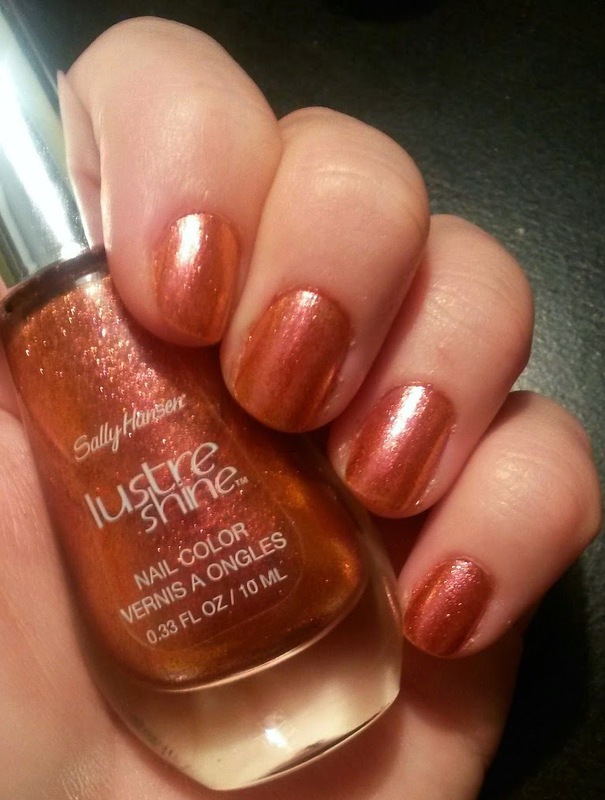 Sally Hansen Lustre Shine nail color in "Lava"